I’ve written to you before, in this fake, diary-esque style that never actually gets sent to you by me (though I hope you do come across my advice). But, after your leadership announcement for the Ontario Liberal Party last Sunday, I thought I’d help you out a little on your higher education promise. Seems as if you didn’t learn enough in your short stint as the Minister of Training, Colleges and Universities. I just read your policy for “no money down” higher education and I thought, for the good of humanity, I need to intervene. There are a few secrets to plagiarizing well that you should be aware of. First, if you’re going to plagiarize, do it for the right reasons. Margaret Wente teaches us that plagiarism helps her look smarter than she perhaps is. While looking smarter, she also gets to collect a pay cheque (something that many people my age would sell out our best friend for), and she has a high profile soapbox. Pretty good returns for just a little plagiarism. Unlike Wente, your copied slogan doesn’t bring in too many advantages. 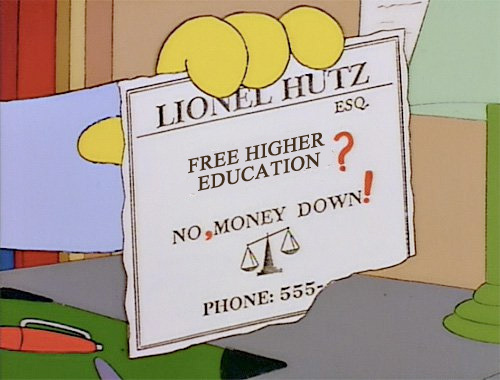 Advertising a plan called “no money down” for higher education makes you sound like a TV announcer. This isn’t going to win you many fans. People will very quickly catch on that you’ve taken the name of your vision for higher education from any number of mortgage or car companies. And finally, if you’re going to plagiarize the name of a policy, do it for a sector like transportation or for lower taxes. Don’t do it for higher education, where plagiarism means something. Students fail for that. It’s the worst crime you can commit in the academy. The irony of you choosing slogan from The Brick for your higher education policy is so multi-layered that it’s possible you will cause brain explosions for the people who try to grapple with your logic. I urge my academic friends to back away from their computer if they feel like a brain explosion may be imminent. However, there are a small group of your fans who have said in the past that I’m too hard on you. And so, I would like to praise you for your small shred of honesty on this policy. At least implicit in the “no money down” promise is the promise that money will definitely be expected later. That’s at least a thousand times more clear than your 30-off doublespeak policy. And, if that’s not enough to convince you, perhaps you’ll listen to Google. Clearly, the students have won at framing the debate. 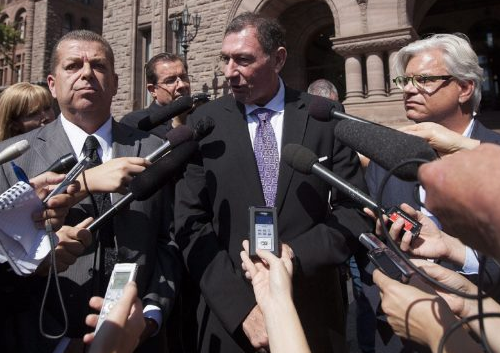 Ontario’s record-high tuition fees are leading to mortgage-sized debt loads. Unfortunately, a mortgage-like quick fix is not going to fix anything. It will further entrench economic disparity, under and unemployment among youth, strain mental health and ensure that higher education remains the domain of the wealthy. Is that the legacy you want?